Lomborg: Wind power is cheap only compared with other alternative energies. Wind power is too costly, inefficient, and won’t stop climate change. Photo by Andreas Rentz/Getty Images. In fact, this is a highly problematic claim. While wind energy is cheaper than other, more ineffective renewables, such as solar, tidal, and ethanol, it is nowhere near competitive. If it were, we wouldn’t have to keep spending significant sums to subsidize it. In the United Kingdom, for example, wind remains significantly more costly than other energy sources. Using the U.K. Electricity Generation Costs 2010 update and measuring in cost per produced kilowatt-hour, wind is still 20 percent to 200 percent more expensive than the cheapest fossil-fuel options. And even this is a significant underestimate. As the U.K. and other developed countries have rushed to build more wind turbines, they have naturally started with the windiest places, leaving poorer sites for later. At the same time, people increasingly protest against the wind farms in their backyards. Local opposition has tripled over the past three years, and local approval rates for new wind farms have sunk to an all-time low. Most people believe that a few wind turbines can be attractive, but it is an entirely different matter when turbines are scattered across the countryside, or when massive, industrial wind farms extend for miles. 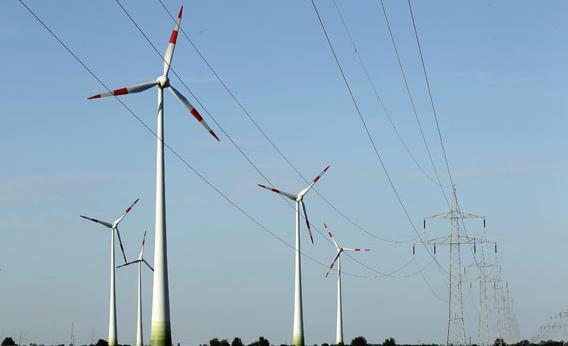 Complaints have also increased about enormous new wind turbines’ low-frequency noise. Given souring public sentiment, most of the future increase in wind turbines is expected to take place offshore, where there is less opposition but where costs are much higher. With its “20-20-20” policy, the EU has promised that, by 2020, it will cut its carbon emissions by 20 percent below 1990 levels, and increase its reliance on renewables by 20 percent. For the United Kingdom, this requires a dramatic increase in wind power, especially offshore. This will be surprisingly costly. The U.K. Carbon Trust estimates that the cost of expanding wind turbines to 40 gigawatts, in order to provide 31 percent of electricity by 2020, could run as high as $120 billion. And the benefits, in terms of tackling global warming, would be measly: a reduction of just 86 megatons of CO2 per year for two decades. In terms of averted rise in temperature, this would be completely insignificant. Using a standard climate model, by 2100, the United Kingdom’s huge outlay will have postponed global warming by just more than 10 days. Moreover, this estimate is undoubtedly too optimistic. Wind frequently does not blow when we need it. For example, as the BBC reported, the cold weather on Dec. 21, 2010, was typical of a prolonged cold front, with high-pressure areas and little wind. Whereas wind power, on average, supplies 5 percent of the UK’s electricity, its share fell to just 0.04 percent that day. With demand understandably peaking, other sources, such as coal and gas, had to fill the gap. Making up for a 5 percent shortfall in supply is manageable, but the situation will change dramatically as the United Kingdom increases its reliance on wind power to reach the 31 percent target by 2020. Wind power becomes much more expensive when we factor in the large supplies of power that must be created for backup whenever the wind dies down. This has been shown in recent reports by KPMG/Mercados and Civitas, an independent think tank. A new report by University of Edinburgh professor Gordon Hughes for the Global Warming Policy Foundation estimates that 36 GW of new wind power would cost $190 billion for just 23 megatons of CO2 reduction per year. In other words, temperature rises would be postponed by a mere 66 hours by the end of the century. Like the EU, the United Kingdom has become enamored with the idea of reducing CO2 through wind technology. But most academic models show that the cheapest way to reduce CO2 by 20 percent in 2020 would be to switch from coal to cleaner natural gas. The average of the major energy models indicates that, downscaled for the United Kingdom, achieving the 20 percent target would imply a total cost of roughly $150 billion over the coming decade, and $28 billion every year after that. Of course, these figures include reductions in areas other than electricity, as well as higher energy prices’ total cost to the economy. Nonetheless, the lesson is clear: If the goal is not just to cut CO2 emissions, but also to use renewables to do it, the models show that the cost balloons to $297 billion for this decade and $57 billion every year after 2020. In effect, insisting on wind power means using energy that is far from competitive, does not help to avert climate change, and costs an extra $145 billion for the U.K. alone. For any country, this seems like a very poor choice.